@flip - agreed to some extent. But comments like, "if I told you, you would lock me up," continuing to have homicidal thoughts, etc. As a mental health professional I would rather error on the side of caution and public safety and get sued by one family instead 12. That is a weird way to say it, I know, but do you know what I'm trying to say? @NT8...where did you get the idea that Reid wrote the book and is the teacher for clinical??? That is a great question from the jury about going into the hospital willingly. If he really wanted to stop himself at any time, he might have done that...although I don't believe he wanted to stop himself. NT8--Dr. Reid himself commented on the difference between forensic psychiatry and clinical (treatment) psychiatry. Go back and review. They are very different tasks, so it is certainly easier for a forensic psychiatrist in court (hindsight) than a clinical psychiatrist who is being blamed for not having ESP. @mandi: It is more about scheduling than preparedness. Experts and witnesses have already made travel plans based on the dates they were expected to testify. Man oh man, I would hate to be the Univ of Colo right now. These docs screwed big time! Lawsuit city!! @flip, who was the expert, Reid, Fenton, or Feinstein? ummmm only Reid. Clinical or Forensic. What do you think the jury will think? 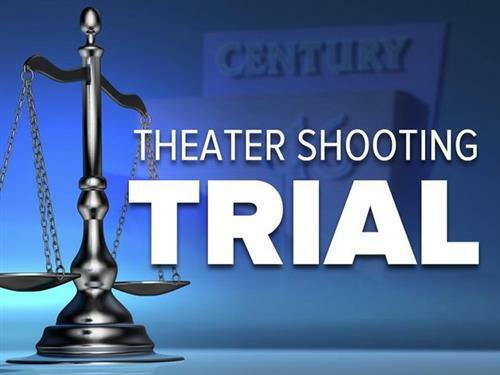 @7News - Is there a recap of Ben Garcia's testimony? I missed and was curious if Brauchler asked him to explain that conversation about the delusions and murder ? I love how Higgs says "right" and glosses over things whenever a witness corrects her. @NikiC--I get it, and I imagine Dr. Fenton and Dr. Feinstein have spent a lot of time since 2012 second-guessing themselves and their procedures. Under the circumstances, who wouldn't? But this was not anything routine that happened--it was very extraordinary. Even a patient saying, "You would lock me up if you knew what I was really thinking" is not cause for actually locking them up. It won't fly. The psychiatrists tried their best to keep him in treatment and he refused. They tried to get him to reveal his specific targets and plans and he refused. I don't suppose they have thumbscrews or a rack in their office--how do you legally and ethically get information from a patient who has decided to lie and conceal and maybe even use his psychiatric visits for an eventual insanity plea? Is this the first time we've seen and heard juror questions without it being a sidebar. N^T8---Reid was an "expert witness". Fenton and Feinstein were "witnesses". The legal definitions of their testimony aside, all three of them are experts in psychiatry by any normal measure of "expertise". In the first video clip, he describes their friendship. The second two clips are about the Google chat messages. 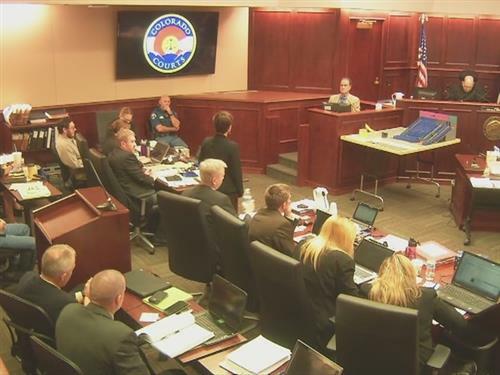 7NEWSRecords of the Google chat messages exchanged between the Aurora movie theater shooting gunman and his friend Ben Garcia were published on Thursday. Garcia was also a graduate student at CU in the spring of 2012 and said he was friends with the gunman. I'm sorry, I know it's a public proceeding, but it's inappropriate that she is there. Just distracting. That excused juror has every right to be there. its public & she's put a lot of her time into it already. Excused jurors in the Jodi Arias case showed up the day after they were excused, I personally find it in poor taste, but they did invest themselves into the case. I would just be uncomfortable, being an "excused" juror and showing up day after day. There are other ways of keeping up with the case. She has the right to be there same as anyone else. Homeless Bob from the street corner at Walmart is allowed to be there. Right to be present vs. should she be.... Of course she has the right. But that doesn't mean she should. Ah yes @LG he didn't take the antipsychotic meds. 7NEWSAt the end of a heated piece of testimony, both the prosecution and defense had tough questions for Dr. Feinstein. Yes, I get that. However, my opinion is that it's inappropriate. So according to those guidelines, and the fact that he testified that he knew JH was holding something back, couldn't they have put him on the hold because of danger to others and the fact that they thought he was lying?? Maybe? Not that Bob. I didn't even notice there was a Bob in here. The only names I remember in this chat are Tammy G. and NT8 lol. Not because I don't care, I just don't remember names well. The scorned juror wanted to show up because he/she was booted. his opinion is just as valuable as yours.. even if you 'don't take it at face value'. Dr. Feinstein agreed that the threat must be "imminent within minutes or days." Defense argues the actual statute does not specify a time limit. Feinstein clarified that the threat has to be imminent, so I guess my last question got answered. I was responding to someone else. I assume "bob" made a similar comment but I wasn't even talking to him. @Niki - I don't think they can do it based on "feelings". I think they have to have some hard proof before establishing an involuntary hold. Think of legal reprucussions if they could commit anyone based on feelings without hard facts. Det. Craig Appel with the Aurora Police Department has been called back to the stand.